Justin East, senior creative director of innovation at Merlin Entertainments, has been confirmed to host a Keynote session at the British Tourism & Travel Show, taking place at the NEC Birmingham on 21-22 March 2018. While most have heard of major theme parks and attractions like Legoland, Sea Life, Thorpe Park, Alton Towers, Madame Tussauds, The Dungeons and the London Eye, very few are aware of the innovators behind them. Responsible for the concept, development and creative strategy of the Merlin portfolio, Justin East has implemented creative projects, including Legoland Discovery Centres, Thorpe Park's Derren Brown's Ghost Train, and Little Big City in Berlin, which have helped to shape Merlin's success. Justin East's session (kicking off on Wednesday 21 March at 11.30am) will offer an examination of innovation in the attraction industry, the thinking that stimulates it, and how it comes from 'people who are engaged, relaxed and enjoy having fun'. Visiting travel and tourism professionals will gain first-hand knowledge of what it takes to operate successful 'world-class' attractions. "I hope people will take away from the session that they should relax when they're talking about creativity, and not be inhibited. Start a vision - then lead the creative team towards that vision. It's a crazy job, but you've just got to keep headspace for thinking, and not be embarrassed to make suggestions," says East. Previously confirmed Keynote speakers include Countryfile's John Craven OBE, Google's industry head of travel Ruairidh Roberts, Andy Headington, CEO of digital marketing agency Adido, and Max Sinclair, founder of Ecocompanion. Returning panel sessions include: The AGTO (Association of Group Travel Organisers) 'Question Time: The Changing Face of Group Travel' and the annual 'Tourism Question Time' chaired by Bernard Donoghue, director of ALVA. 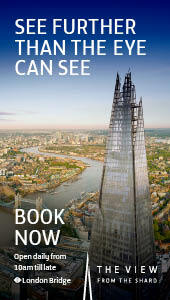 For more information about the Keynote programme, please visit http://www.tourismshow.co.uk/education. 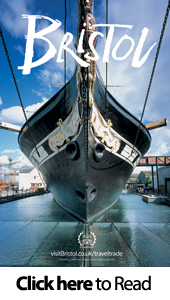 The British Tourism & Travel Show, firmly established as the domestic tourism showcase of the year for the UK and Ireland's travel trade, will feature over 250 leading visitor attractions, venues, destinations, hotels, transport providers, associations and DMOs. 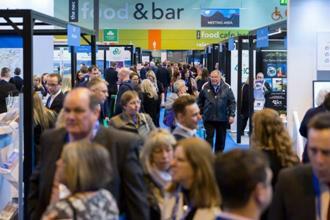 The show annually attracts over 2,600 attendees - including some of the UK and Ireland's biggest domestic tour operators, coach operators, travel organisers and agents across the country. Holiday Inn, Thomas Cook, Wanup, Meridian Travel, Virgin Trains, National Trust, Expedia, Rondo Travel, AC tours, Saga Travel, Great Rail Journeys, Woods Travel, Yorkshire Rose Coaches, Just Go Holidays, Sunway Tours, Secret Escapes, JAC Travel, BBC Wildlife, Telegraph, National Holidays, and The UK Holiday Group are just some of the visitors that have already pre-registered to visit for 2018.